CHICAGO -- More than a dozen Chihuahuas are in need of a home after a fire left their owner homeless. 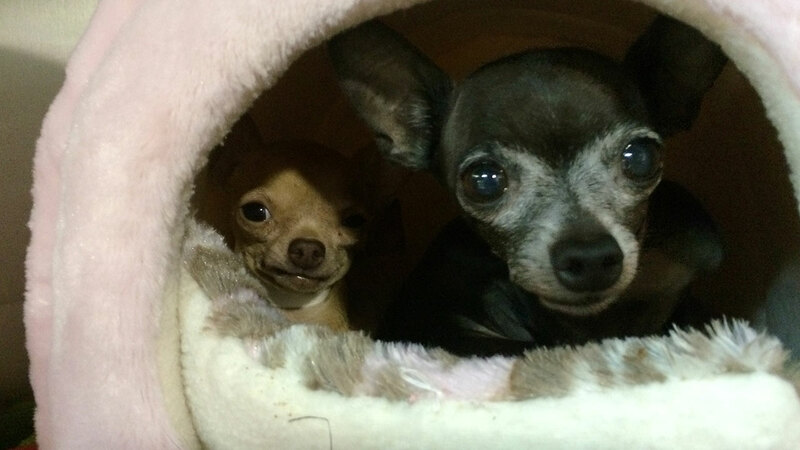 16 Chihuahuas need a home after a fire left them homeless. PAWS Chicago rescued the 16 dogs from Chicago Animal Care & Control on Tuesday. They range in age from just 8 weeks old to seniors, including five puppies. PAWS has named all of the Chihuahuas after various cheeses, including Chevre, Limburgar, Roquefort, Emmental, Havarti, Danish Blue, Mascarpone, Gorgonzola, Gruyere, Wensleydale, Gloucester, Gouda, Stilton, Celtic Gold, Cheshire and Edam! Many of the dogs are suffering from hair loss due to mange, luxating patellas and heart murmurs. Some of the adult dogs have also been diagnosed with a birth defect that results in soft gaps in their skulls, though they can live normal lives with the condition. All of the dogs have proven to be social since their adoption, but will need foster care while they recover. They will need to go to homes without other dogs during the foster period, since they may have been exposed to the canine flu at the pound. "We encourage fosters to take them in groups of two or three, as they are very scared and do better when they are together," says Stacy Price, Director of Animal Operations for PAWS. "It's like they are bringing their security blanket with them." For more information, visit PAWS Chicago's website at www.pawschicago.org.